Asteroid 2018 CB was discovered on February 4th by the Catalina Sky Survey at visual magnitude 19. This week has been a busy one with regard to Asteroid close approaches to Earth. There have been no less than seven asteroid passes near the Earth-Moon system since last weekend. This latest asteroid (2018 CB) is another very close flyby at just 44,000 miles. Asteroid 2018 CB will be the third of these asteroids to be listed on the ‘potentially hazardous’ (PHA) list. Asteroids receive this honor by meeting two criteria. Firstly, the object has to be at least 328 feet across and secondly approaching within 4.6 million miles of Earth. 2018 CB falls well in to these categories. 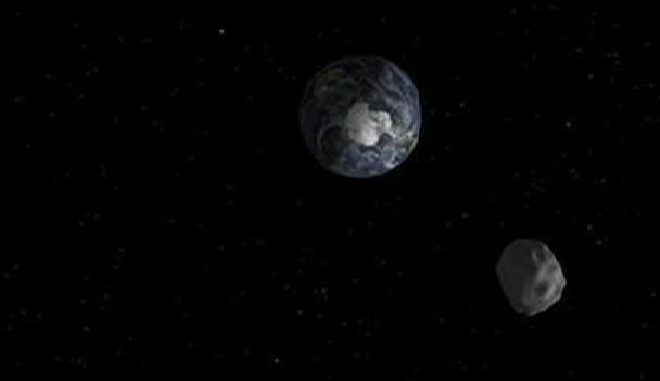 The Asteroid is expected to reach a peak magnitude of 12.8-13.0 travelling at 26,000 mph as it dashes through Perseus and Pisces as viewed from Earth. The Virtual Telescope Project are hosting a live webcast of the flyby from 20:00 UTC.